What sets us apart from our competitors is the attention to detail we provide to our community and our customer service. When you hire Ryann Reed Design Build, you’re guaranteed to receive the highest level of service, from the initial estimate to the final inspection. Our primary goal is to ensure we build that envision into reality. If you’re a homeowner, who’s looking to upgrade their home in New Hope, Pennsylvania. We would love to hear from you! Are you ready to learn more about services? Check out the popular remodeling services we have to offer. Are you looking to replace your countertops, cabinets, or maybe remodeling the entire kitchen? No matter what kind of project it may be, Ryann Reed is here to lend you a helping knack. Our skilled and experienced contractors have many years of experience in completing all types of jobs so no matter what kind of special requirements you may have or timeframe, you can count on us to get the job done in time without any hesitation. Call today to schedule your free estimate! 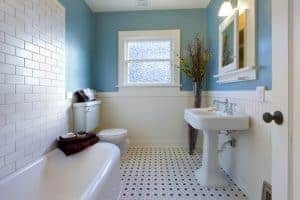 Ryann Reed is a premier local bathroom remodeling company who specializes in building custom-crafted bathrooms that perfectly meets the needs and matches your unique taste. If you’re looking to spruce up your bathroom, consider speaking to our professional design experts to understand the specific vision you have for your project. For more information about the bathroom remodeling services that we offer to residents in New Hope, PA, contact us today. Planning to build your fantasy home? We have you covered! We’re a full-service building contractor for New Hope, PA. From demolition to design and complete construction, there are no other contractors who will approach any project with the same enthusiasm and attention to detail quite as we do. Our team consistently strive to provide the highest quality work along with professional, and reliable services. Get in touch for a free consultation today.